Creative Worship for the Lutheran Parish provides ready-to-use worship services that are completely planned out, with preselected music and beautifully designed images. A new edition comes out every three months. Services, music, and media to assist pastors and church musicians in planning worship. Creative Worship contains services, music, and media to assist with every aspect of worship planning. 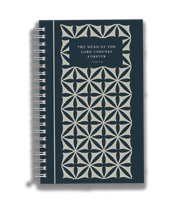 This special edition offers 35 different orders of liturgy for occasions in the life of the church. These downloadable services are available in all the standard word processing formats included in the subscription series.